-- Likely, Odell Beckham is out for the season (guessing as of this writing). That should open up Evan Engram (0-0-0/4) some more, but it more likely means a sweet bump for Sterling Shepard…but he's out for a couple weeks as well. Engram was barely targeted in this game…nothing catchable or purposeful. Why? I have no idea. Engram has been key for weeks, so I assume this is some kind of blip. No OBJ likely helps him ahead, but no OBJ-Shepard-Marshall is not good. We need less coverage focus on him. If you don’t have Zach Ertz, you got tight end issues every other week. It's part of the game. -- Everyone in football seems shocked Orleans Darkwa (8-69-1, 1-3-0/4) started and played well. I've been saying he should be a split starter since Week 2. How Ben McAdoo doesn’t realize this is beyond me. Here's the thing with Darkwa – nice power runner, but he can’t catch. He secretly cost the team the game in spots dropping simple passes. He's no great fantasy answer either, especially PPR. This whole NYG RB situation is a mess for FF. -- That's probably the end of Bilal Powell (2-5-0, 4-28-0/5). As I've eluded to for a few weeks -- this staff likes Elijah McGuire (11-20-0. 2-10-0/3) better and when Matt Forte returns it will be an even bigger cluster. -- Kevin Hogan (16-19 for 194 yards, 2 TD/1 INT, 4-30-0) probably starts next week, but I wouldn't assume it – never trust Hue Jackson to do the smart thing. Do note that Hogan is a pretty good QB – he's like Jacoby Brissett, Tyrod Taylor, and Alex Smith rolled into one…he's a threat to run for 50+ yards a game. Hogan is 6'3"/218 and runs a solid 4.78 40-time with a terrific 6.90 three-cone. -- Hogan seems to prefer two receivers: (1) Kasen Williams (4-33-0/5), who he would have had plenty of 2nd-team work with the last couple of weeks. (2) David Njoku (3-48-1/3), who he had some instant gravitation towards a couple weeks ago…and would've worked 2nd/3rd-team with him in the preseason. -- My Trent Taylor (1-6-0/2) enthusiasm had a giant bucket of ice water poured over it. Taylor went from the QBs best friend and ripping apart Tyrann Mathieu Week 4…to totally ignored Week 5. I think there is still potential for Taylor to see great targeting from here, but this game tells me it's not likely to happen. I got very excited after re-watching Week 4…but I'm just going to pretend like it never happened after Week 5. My bad. Sometimes, I'm a week or two early on these things. He's only a WR3 in PPR hopeful so not major investment or drop worries here. -- George Kittle (7-83-1/7). On the other hand… I get we're all TE desperate and Kittle is young and pretty talented. However, note – (1) He hasn’t been much of a factor up to now. (2) Much of the action here was in OT, like 4-5 catches, and (3) Kittle could easily get stiffed next week like Trent Taylor just did. That being said…you could do worse for a fringe TE1 hopeful right now. -- Marlon Mack (9-91-1, 1-2-0/1) will be one of the top names discussed on waivers in many leagues this week. He scored a 22-yard TD in this game but he also had a 36-yard jolt that was ruled out just short of a score on review. I don't see him bumping Frank Gore at all, but he'll get secondary role touches. If they face the 49ers every week maybe he will be fantasy gold. He's good in spurts, not a guy that will be a 15-20+ carries workhorse for long. -- Another week, another no-TD game for LeSean McCoy. This Bills team is not a high volume, big scoring one. McCoy looks OK, but not really game-breaking. He's a very good, established RB on a low scoring team where the defense knows he's getting every other touch. -- Charles Clay may be done for a while/the season -- if so I would not look for a viable fantasy option to spring to life in his absence. Nick O'Leary (5-54-0/6) will see more targets and Logan Thomas (1-3-0/2) might get a target or two, but I don't see either mattering much. -- Everyone keeps talking about Tyrod Taylor (20-37 for 166 yards, 1 TD/1 INT) as a crafty FF producer…and they usually think that because of Taylor's rushing for scores, but Tyrod hasn’t rushed for a TD this season. He's averaging under 200 yards passing and less than 30 yards rushing per game. He's a QB2.5, not a sneaky QB1. This was a 2016 story, it's not a 2017 one. Using 2016 'last 10 games' trends is misleading on what's happening under a new coach/system. -- Back-to-back weeks for Andre Ellington (9-65-0/10) with nine catches in a game. Carson Palmer needs this check down so I don’t foresee it declining much ahead…unless the Cardinals start getting ahead in games and sitting on leads, but that’s not likely to happen. -- A lot of enthusiasm for Jaron Brown (3-39-0/6) coming into this game and then he went quiet. With J.J. Nelson (4-80-0/6) and John Brown (2-26-1/7) back…it's probably going to be a random pattern of targeting week to week. -- Wendell Smallwood out, Kenjon Barner (5-23-0) comes in and looks great. You can never count on any Eagles RB from one week to the next for fantasy. They have 3-4 legit/useful NFL RBs at any given point…and Doug Peterson will rise any of them at any given time. -- I wasn't sure AT Pittsburgh was a great matchup for my beloved Jaguars DST…but apparently, no problemo. Tougher matchup vs. the Rams in Week 6 and then I think you can start the Jags D the rest of the season (outside of the BYE Week 8). -- Now, we move into a 'prove it'/shaky period for the Steelers DST with KC-CIN-DET the next three weeks. I'd worry a touch about Week 6 at KC but might be OK. Don’t judge them as 'bad' v. JAX…30 points allowed, 13 off D scores and then the last second gift 90-yard TD run. The Jags couldn’t do much of anything vs. the Steelers D most all this game. -- We've been harping on the Ben Roethlisberger decline since late last year, and the drumbeat was starting in the media the last week or two…now, it will be a full-scale assault on Ben. I've been done with Ben for a while, but now you'll start to see him on 12-team/15-man roster waivers. I wouldn’t bottom fish on him with KC-CIN-DET-BYE the next 4 weeks. -- Ed Dickson (5-175-0/5) had a career in this game. He had a couple of misdirection plays where he was left wide open, by yards; forgotten. I don’t think there is new FF gold here. -- It looks like I'm the fool on Devin Funchess (7-53-1/8). He's never been a 'counted on' guy by the team no matter how many 'this is the time' moments analysts cackled about. Without Greg Olsen, Cam has finally started to push Funchess. I don’t think a star is born, but he's now FF useful whereas I thought he was useless. I still don’t trust this holding up, but what WRs can you trsut anymore? -- In the last three weeks, I've moved from 'hold, don't worry', to 'bench and hold' to now 'buh-bye' if you need the spot on Theo Riddick. Too many weeks in a row of meaningless play for Riddick. Whatever he used to have with Stafford is over for now or for good. -- If Marcus Mariota is down another week or two or three, all the WRs/TEs are useless for FF with Matt Cassel. You hate to do it but if you see Mariota missing two more games, then there's a BYE after that – well, Rishard Matthews (3-34-0/6) is droppable and you can come back to him later in redraft leagues. 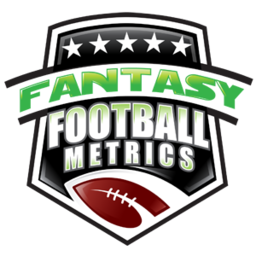 -- Demarco Murray (14-58-0, 4-11-0/5) looks not at his peak but seems to be moving OK, but with no Mariota he's not likely to put up great FF numbers. Derrick Henry (4-9-0)? He's a Murray handcuff only, I guess. He looks pretty weak to me. -- DeVante Parker (1-6-0/1) went out hurt, and that got Jakeem Grant (1 rec. for -2 yards on 2 targets) a few extra snaps. He got an end-zone throw a little over his head and he couldn't jump high enough to get it or he might be 'a thing' finally. Why Miami has him in a box marked 'do not use' is beyond me…their offense is terrible, and an electric player is right under their nose getting nothing but return game work. When he gets his rare chance he has to do something magical to get the coach's attention. If Parker is going to be out, let's watch for Jakeem as a deep sleeper. -- Amari Cooper (1-80/2) moves one more inch towards being dropped in 12-team redraft leagues. It's like he's not even on the team anymore. -- Terrance West started and instantly got hurt, Alex Collins took over for a spell, then Javorius Allen ended up with 21 carries somehow. I don’t understand what the Ravens are doing with their backfield, or how they scored 30 points or how they won this game…and I watched it live. I don’t want any of their RBs for fantasy. -- Cordarrelle Patterson (0-0-0/1) or Michael Campanaro (1-8-0/1) getting more touches for their struggling offenses and coming off their best games of the year? Ummm…nope. -- A preview of my game recap: Everyone in dynasty (6pts per pass TD and/or 300+ bonuses) needs to acquire Jared Goff (22-47 for 288 yards, 0 TD/2 INTs) for the future. I said he was the next Tom Brady when I scouted him…I also didn’t know he'd ever find his Bill Belichick. I think he's found better than Belichick. I am ALL IN on Jared Goff after what I saw in this game, combined with the last few weeks. Wow. The numbers look bad from this box score which is a HUGE help for those of you that have to go get him. He should be most everyone's QB2 (unless your QB2 is Dak or Luck) in redraft (especially in 6pts per pass TD and yardage bonuses) and in dynasty – Goff is your QB2 or QB3 investment for the future…along with Mitchell Trubisky (if no Dak/Luck as QB2). I'll expand on this first recap out of the box this week. -- Sleeper DST for the rest of 2017…the LA Rams. Bortles-Palmer-BYE-Eli the next four weeks (three awful O-Lines). They are starting to 'get it' with Wade Phillips. They've had the talent for years. They face the most 'bad O-Lines' of any DST for the rest of the season. -- This was my J.D. McKissic (2-0-0, 3-36-0/5) fear…just a few touches and if magic doesn’t happen with them then he slips back into 'forgotten' or 1-2 touch-a-game guy. Too many speed bumps in JDMK's way to find real FF-glory right now. I'd need to know C.J. Prosise is done for the year before I get super excited. There's hope but there's also awful O-C Darrell Bevell. -- From 'Will he ever play football again?' thoughts to 7 catches and 2 TDs for Davante Adams (7-66-2/11) in the span of 10 days. Unreal. Had Adams's TD last week (the one before he was decapitated) counted, Adams would be sitting 2nd among all WRs in TDs in the league right now…one behind leader Jordy Nelson. Last season, Jordy led all NFL WRs in TDs…and Adams was 2nd. -- In the juiciest matchup he'll get all year, Dez Bryant gave you 5 catches for 52 yards…it's over. He's not a WR1, he's barely a WR2 anymore. He did score a TD but he has to have bigger numbers than that versus Green Bay in this kind of game. -- Aaron Jones (19-125-1, 1-9-0/1) will be one of the hysterias of the week. I would be very suspicious here. Fantasy has had a number of false hope Green Bay RBs the past few years…look no further than Ty Montgomery, who will be back and make this a mess to figure out. If I had grabbed Aaron Jones off waivers or had him as a dynasty rookie draft flyer I was sitting on – I'd trade him hot this week. He might have RB 1.5-2.0 value if Ty Montgomery is for sure not playing this week and questionable after that. Jones is good, not great, and into a sticky, crowded situation. -- One moment Deshaun Watson (16-31 for 261 yards, 5 TD/0 INT) can hardly complete a pass for three quarters, the next thing you know he has 5 TD passes…and I still don’t know how. He's not bad, but he's not this good. However, I don’t think I would 'sell high' just yet. I'll explain further in the KC-HOU game recap. -- Speaking of players on a hot streak -- Kareem Hunt (29-107-0, 3-9-0/4) is softly falling back to reality. It was bound to happen. He's still very good but the full-scale hysteria is petering out. If he doesn’t have a big, untouched TD run at the end of Week 4…and it would be back-to-back 'good' games not 'wow' games. -- Will Fuller (2-57-2/3) has 6 catches this season and 4 TDs. It's an anomaly. Houston is killing it on offense now – some of it Watson some of it the defensive scenarios (in this one the big numbers came late in a game vs. soft defensive schemes). It will not hold, Will Fuller is not this good.